If you’re in the market for one of the season’s best new vehicles, then it’s worth taking a look at one especially exciting car in particular: the 2017 Honda Civic Hatchback. 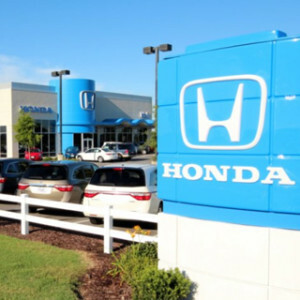 Not only does this new Honda provide you with a superb drivetrain and epic engine power, but it also comes loaded up with the latest in technological devices and dependable safety equipment. 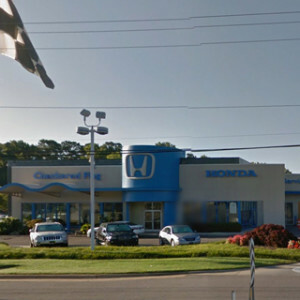 Yet, above all, you should know about this Honda model’s gorgeous exterior design. A wide spectrum of color choices, exciting styling possibilities, and a huge selection of available options and accessories are in your hands. 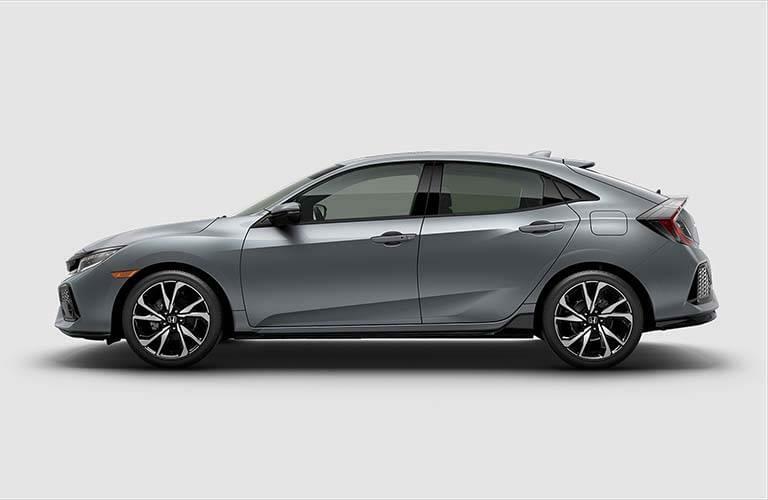 Car and Driver proclaims, “the design is expressive and angular, and the car’s streamlined shape is particularly appealing.” Read on for the details, and then stop by one of our Hampton Roads Honda Dealers to take the new Civic Hatchback out on the road yourself! The Honda Civic Hatchback makes it possible for you to outfit it in a wide spectrum of colors. 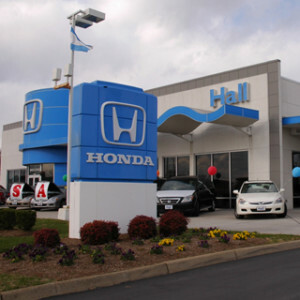 For example, you can go for Aegean Blue Metallic, Polished Metal Metallic, or Sonic Gray Pearl on the cooler side, or you can opt for brighter, stronger colors like Rallye Red. No matter which hue you choose, your Civic Hatchback is sure to turn heads. LED Headlights – You’ll get gorgeous LED headlights that promise to keep the drive as safe as can be while also making a stylish statement on the road. 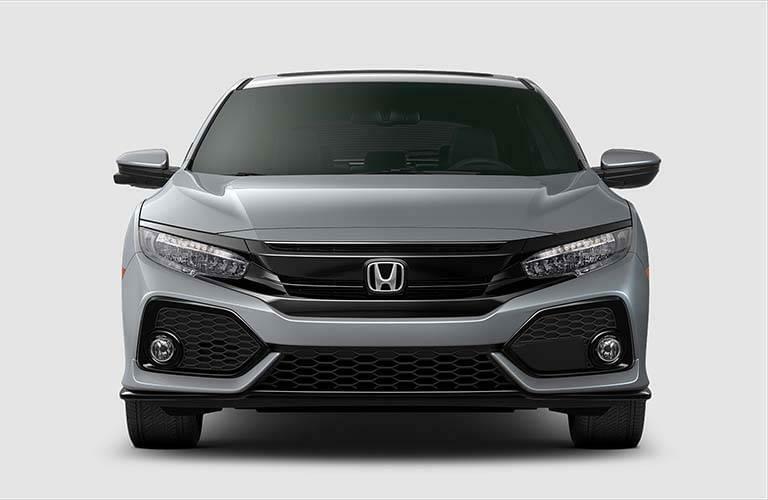 Piano Black Grille – Add to its bold lines and smooth curves a black mesh fascia insert and stunning black grille, which together work to give the new Honda some truly jaw-dropping style. 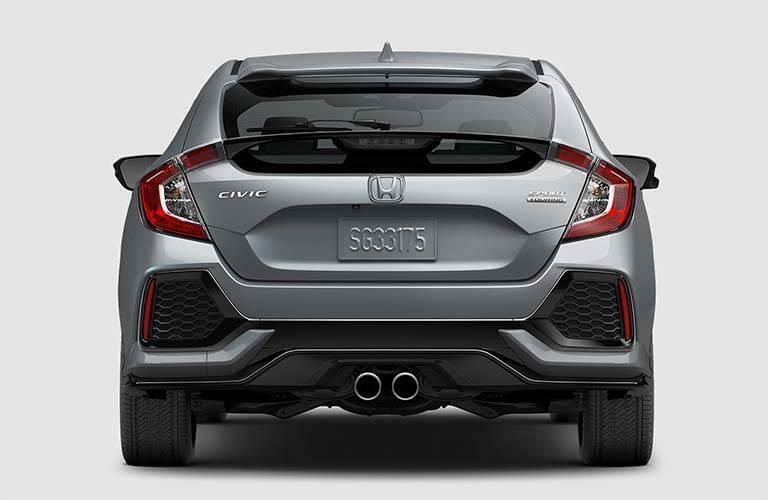 C-Shaped LED Taillights – Complementing the other design features of the Honda family, the Civic Hatchback features C-shaped LED taillights and an aggressive-looking back end. 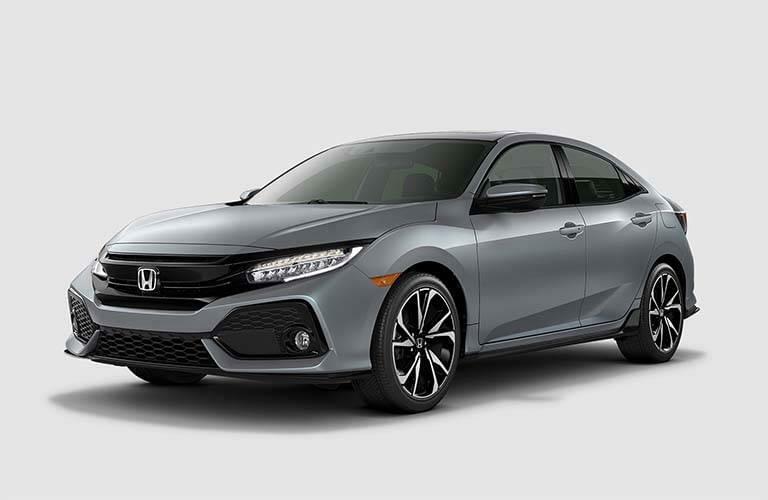 Wide Stance – The new Civic Hatchback also boasts an especially wide build as well as centered dual exhaust outlets and rear hatch windows that improve visibility immensely. 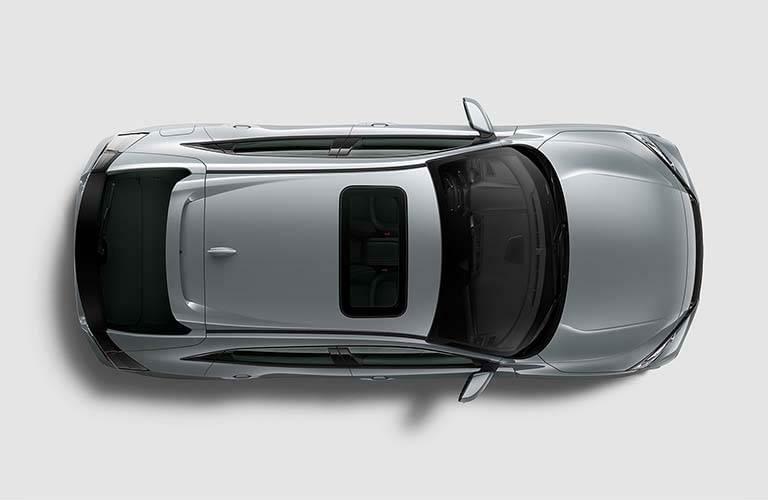 Power Moonroof – The Civic Hatchback gives drivers an easy-to-operate moonroof that allows you to roll down the roof and let the moonlight (or sunlight) come cascading in next time you’re barreling down country highways. In addition to all this, the new Civic Hatchback also comes outfitted with four different wheel options. 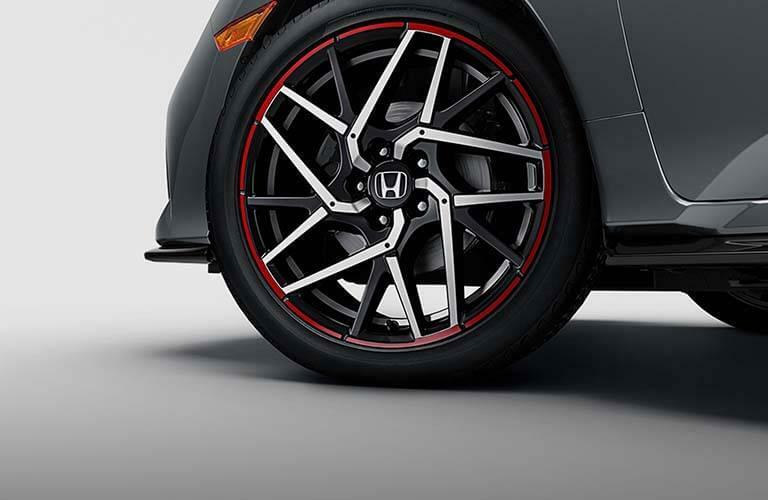 16-inch Alloy Wheels – Standard on the baseline trim of the Hatchback, these wheels add even more style to the memorable look of the vehicle. 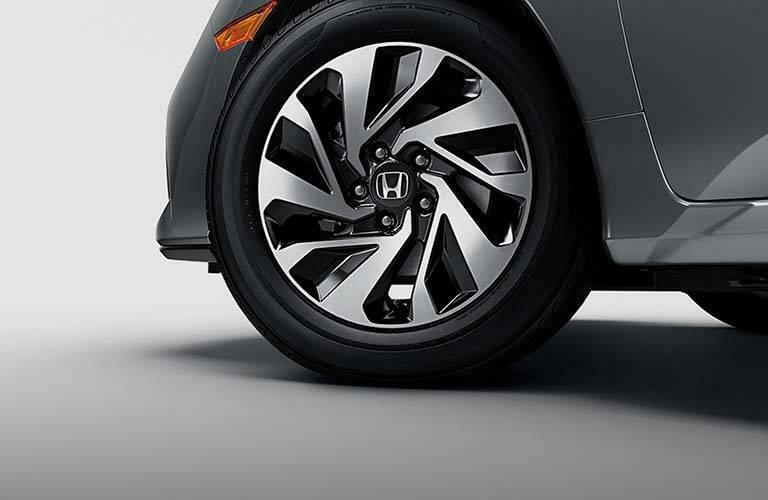 17-inch Alloy Wheels – Not only are these wheels stunningly styled but they also help reduce wind resistance when you’re out on the road. 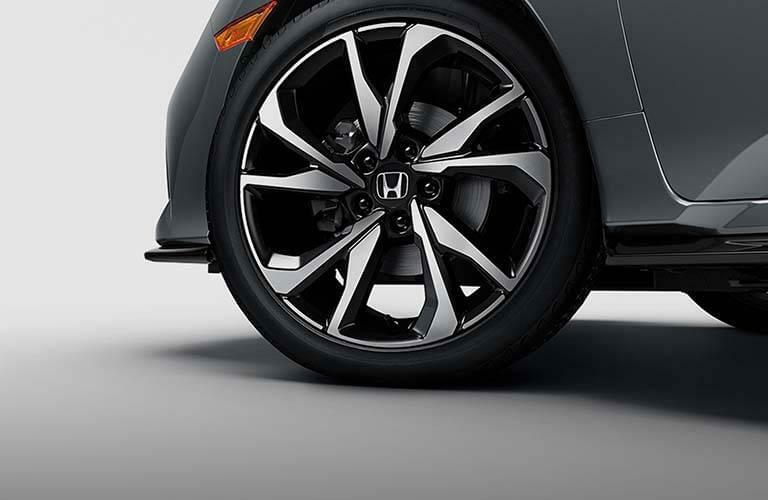 18-inch Alloy Wheels – Large and sturdy, the 18-inch alloy wheels feature a darkened design for an even more aggressive look. 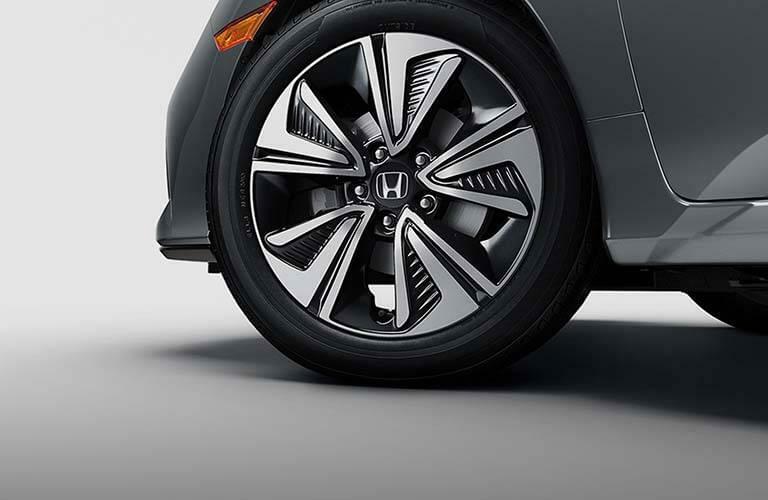 18-inch Accessory Alloy Wheels – With their two-tone machine finish and twisted five-star design, this wheel option amps up the Civic Hatchback’s style more than ever. The Civic Hatchback promises a wide selection of new accessories, enabling you to personalize your Honda with no trouble at all. 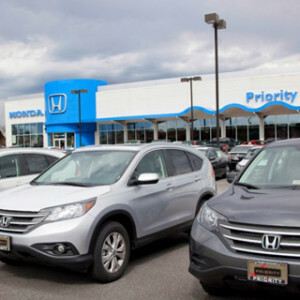 For example, you’ll get the option of adding chrome door trim, door visors that help you enjoy the fresh air, and even a tailgate spoiler to round out this vehicle’s striking style. Test Drive the Honda Civic Hatchback Today! 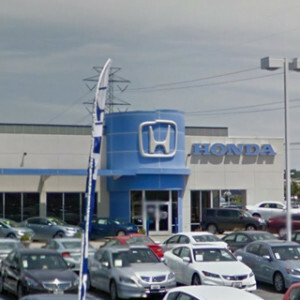 Don’t just take our word for it: Visit a Hampton Roads Honda Dealer near you today and take the new Honda Civic Hatchback out on the road for a test drive. 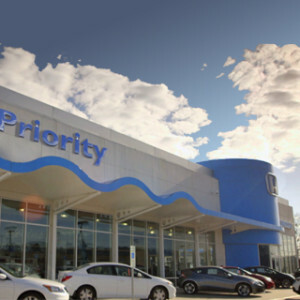 We’re sure you’ll be impressed by its exterior features—as well as its advanced technologies, reliable safety devices, and ample power. 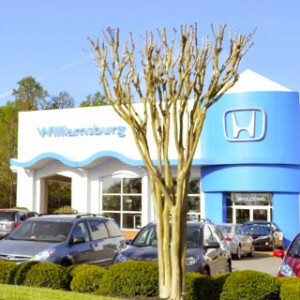 Contact us using this online form, and while you’re at it, be sure to check out our current offers. 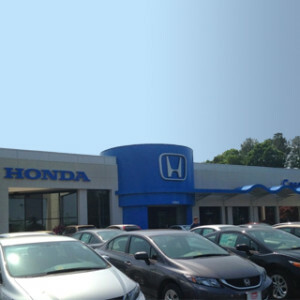 We can’t wait to help you find your new Civic Hatchback!